Outside of Northern Arizona University's Walkup Dome. Trisha Hoffman and I are one day or 500 or so miles into our Sea to Shining Sea High School Football Tour that will also encompass a lot more, including a stop in Atlanta for Trisha’s youngest daughter’s wedding. 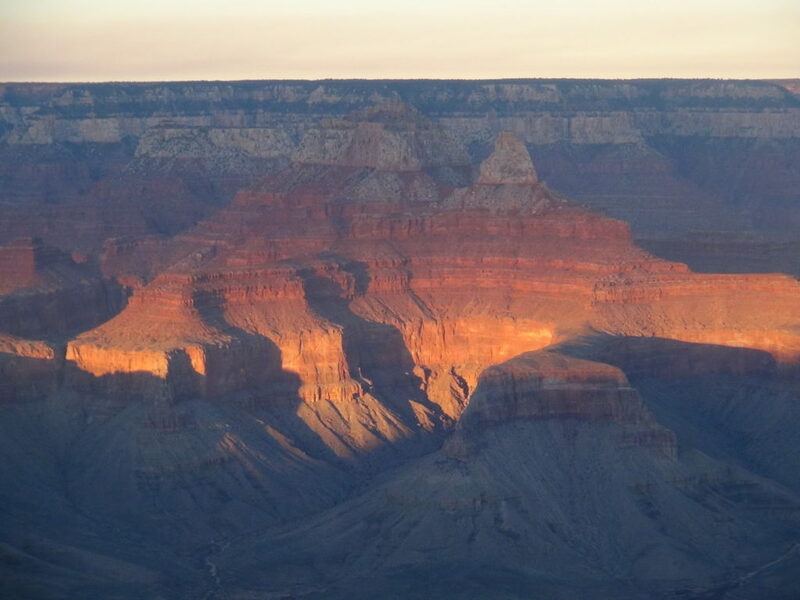 We left Los Angeles yesterday and arrived just in-time for the sunset at the Grand Canyon. It definitely checked-off a Bucket List item for both of us. Tonight we will check-out my first-ever high school football game in Arizona, which will give me 14 different states that I’ve watched a game in. This evening’s game will be VERY interesting as we head to Keams County’s Hopi High School. When the school opened in 1987, it gave the Hopi Reservation its first high school. The Bruins of Hopi High are 3-5 and will face Rock Point High School, which is a Navajo school, tonight. In the meantime, we’re visiting to two schools in Flagstaff – Flagstaff High and Coconino High. 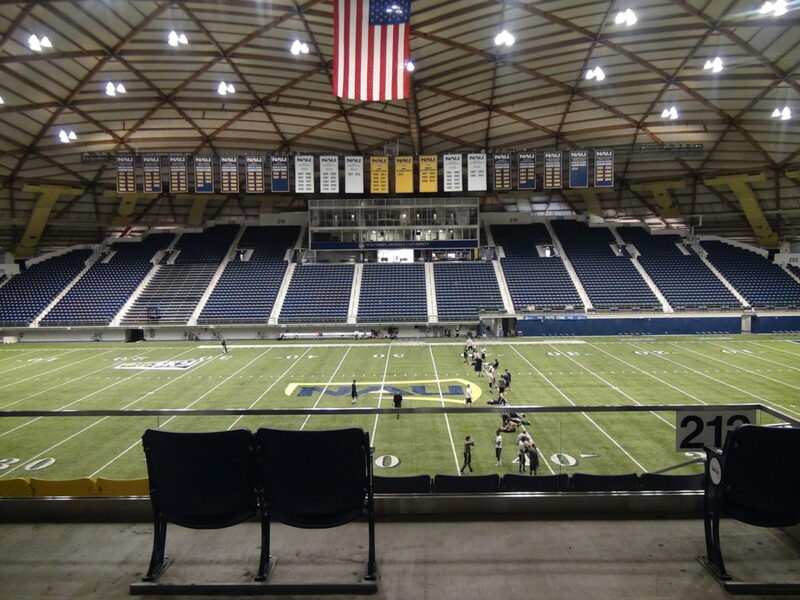 The Flaggstaff Eagles play at the Northern Arizona University‘s Walkup Skydome, which is a beautiful dome facility as you can see from the photo. The all-white dome does catch you off-guard in the beautiful green from all of the pine trees in Flagstaff. 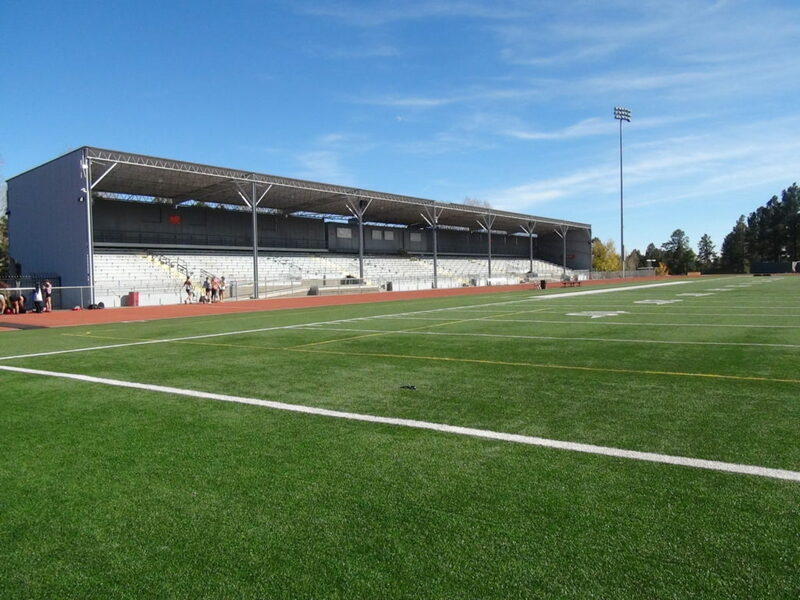 Northern Arizona University’s Walkup Dome is home to the Flaggstaff High School Eagles. Follow our Sea to Shining Sea Tour on Facebook, Twitter and Instagram.